You may have an amazing business idea, but actually following through with it can feel impossible. You may doubt your own abilities or the sustainability of your potential business, or perhaps you’re too afraid to leave the stability of your full-time gig. Whatever the reason, you shouldn’t let fear stand in your way, especially not in a city full of dreamers. We asked a panel of Forbes New York Business Council members to share their experiences taking the leap into entrepreneurship. Based on their insights, here are six ways you’ll know it’s time to dive in, too. 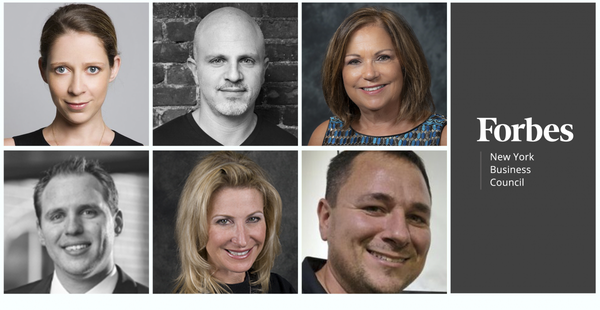 Forbes New York Council members share their best advice on when to start your business.Photos courtesy of the individual members. Token was really a company born out of personal necessity. After having my credit card stolen multiple times, I was tired of having to pay the consequences. Millions of people face the same difficulty every year. Find something that you would like to see changed and can be passionate about every day. That is a strong indication of it being a good time to make the leap. – Yana Zaidiner, Token Payments, Inc.
No one will start a business unless they believe they can be successful. Many tell me they want to start a business, but they don’t believe they can be successful. I explain that they can achieve whatever goals they have, but they need a do-not-quit attitude, the motivation to do whatever it takes to be successful and the understanding that failure is not an option. – Philip Smith, PJP Marketing, Inc.